We have a team of skilled, caring and highly qualified dentists, hygienists, dental nurses, and practice manager who are committed to providing high-quality dental care within a modern and attractive environment. Dr Mazaheri graduated from the RWTH Dental School in Aachen (Germany) in 1998, where he completed his doctoral thesis about root canal treatment using diode laser. 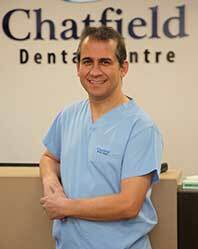 After working for a few years in Germany and Southampton, he became Principal at Chatfield Dental Center in 2004. He therefore has many years of experience in general dentistry underpinning his work. In 2013, Dr Mazaheri was awarded the highly prestigious Diploma in Implant Dentistry (at Advanced level) by the Royal College of Surgeons in London. He is highly experienced in carrying out implant work; alongside other restorative treatments. Patients considering implants to replace missing teeth can be assured they are in highly experienced and safe hands. He is a member of the British Dental Association (BDA), Faculty of General Dental Practice (FGDPUK). 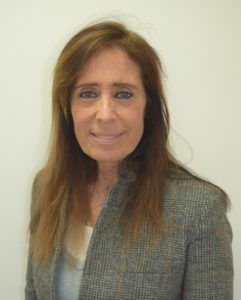 Dr Rhona EskandarDr. 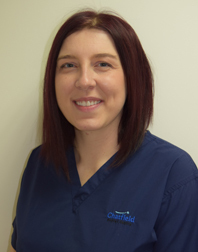 Rhona Eskander graduated from Leeds University in 2010 and joined Chatfield Dental Centre in 2012. She completed training at the Perfect Smile Academy, providing complex cosmetic dentistry and enjoys treating a variety of patients, listening to their concerns and meeting their functional and aesthetic desires. She has taken on challenging cases successfully and always welcome nervous patients, who are allocated sufficient time to listen to their anxieties and expectations. Dr. Eskander is a platinum provider for Invisalign and has received attention from the press including Grazia, The Times and the Daily Mail for Invisalign. She was honored to be given the title of “Best Young Dentist” at the Private Dentistry Awards in 2016. She was shortlisted for Best Young Dentist in 2015 and also for the Aesthetic awards 2016. She has been published in various dental magazines and was on the front cover of Young Dentist. Lecturing and writing articles has been a passion for her. 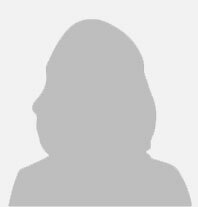 She is a member of the British Endodontic Society, the British Dental Association, the Faculty of the Royal College of Surgeons and the British Academy of Cosmetic Dentistry. 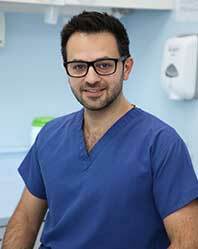 Dr. Babak Karimi graduated from Leeds University in 2013 and joined our team from September 2017. Over the past 4 years, he has attended other post qualification courses in restorative, cosmetic dentistry, and facial aesthetics to enhance his skills and knowledge in order to meet his patients’ expectations as much as it is possible. These include teeth straightening such as Invisalign and Six Months Smiles and smile makeover to include composite Bonding, ceramic/porcelain veneer which has been completed for many patients and also anti-wrinkle injection such as Botox and Dermal Fillers. He is a very careful listener, supportive, reassuring and tailor any treatment individually so that his patients’ cosmetic and other clinical needs and wishes are satisfied. He will soon embark upon a very reputable dental implant course to become even a more comprehensive dentist so that he could provide you with almost a natural tooth where you have lost a tooth. Babak is a member of American Academy of Cosmetic dentistry and Dental update where many types of research are published so he could update himself on regular basis. 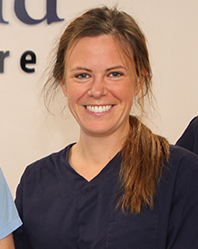 Maggie is our dental therapist and hygienist and joined our team in January 2010. 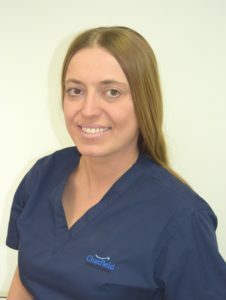 She started her career as a dental nurse in 2003 and has had a variety of roles within the dental team before she gained the qualification as a dental Therapist in December 2009 from Cardiff University. Her training allows her to carry out hygiene work, gum treatment for adults, place fillings in adults and perform an extensive range of dental treatments on deciduous teeth (milk teeth). Regular appointments with her will aid in the prevention of gum disease, tooth decay, and embarrassing bad breath.She also enjoys carrying out Zoom Tooth Whitening procedures which have become very popular. We are so lucky to have Maggie as she combines the role of a hygienist with some of the work of a dentist. Rachel is our Dental Therapist and Hygienist and joined our team in May 2012. She started her career in dentistry in 2005 in Co.Down before she gained her BSc Oral Health Science qualification at the University in Highlands and Islands in Scotland. Her training allows her to carry out hygiene work, gum treatment for adults, place fillings on adults and perform an extensive range of paediatric dental treatments on deciduous teeth (milk teeth). She has often played a vital role in relieving and anxiety of patients who are often nervous and unsettled. She is also experienced carrying out Zoom Tooth Whitening procedures. Outside of work, she enjoys Horse Riding mainly show jumping/cross country, rock climbing, paragliding, yoga and traveling. 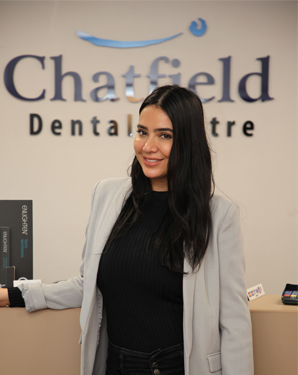 Klaudia joined Chatfield Dental Centre in 2014. She started her career in Dentistry as a Dental nurse in 2005 before she qualified as a Dental Therapist and Hygienist in 2009 from King’s College Hospital. Her aim is to deliver a pain-free and thorough treatment, to inform and help every patient on their journey for a better oral health, as well as making the visit comfortable for the clients suffering from dental phobia. Regular appointments with her will aid in the prevention of gum disease, tooth decay, and embarrassing bad breath.Klaudia enjoys her job and tries to expand her dental knowledge by participating in different dental courses and conferences. Leanne is the newest member of our team; having joined us in August 2018. 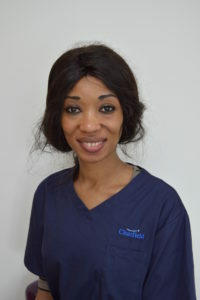 She began her career in dentistry as a dental nurse, but qualified as a dental hygienist and therapist from King’s College London earlier in 2018. She also holds a diploma in beauty and holistic therapy. Outside of her work she is a keen traveller, and loves visiting different restaurants. 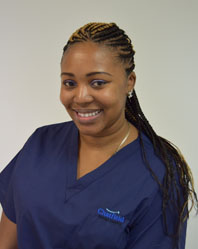 Shima is a fully qualified dental nurse; having qualified in 2016. 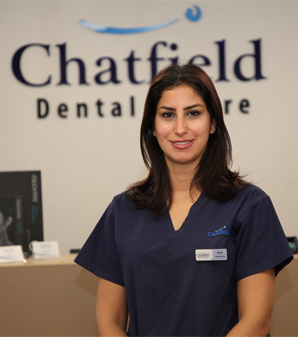 She joined Chatfield Dental Centre in 2017, and has recently increased her responsibilities as our practice manager. She therefore has overall responsibility for ensuring all patient appointments run smoothly, and that your visit to us is of the highest possible standard. She oversees all our administrative systems and checklists and continually strives to improve efficiency. She has several years’ experience in high-end restorative and surgical dentistry, enabling her to work efficiently in support of our dentists. Shima is especially passionate about cosmetic dentistry and other procedures. She has attended an innovative course in botox and dermal fillers, meaning she has relevant knowledge of some of the most popular cosmetic procedures available. Pheobe joined our practice in 2007. Her knowledge, helpful and calm manner have made her a much valued and appreciated member of the team. She deals with minor and major enquiries efficiently and can advise on a variety of dental problems. She has “Certificate in Oral Health Education” and is qualified to take the impression and dental radiographs. We are proud to have Pheobe’s help and her enthusiasm is highly contagious. Bebella joined our team in 2017 and is already a valued member of the practice. She studies Physiotherapy part-time, balancing her studies with working. She has experience in restorative and orthodontic treatment, with a special interest in using invisalign to help patients achieve the smile they want. With a calm manner and professional knowledge under her belt, she takes great pride and satisfaction in working to the highest level. 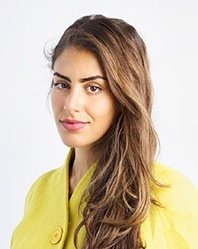 Naeemeh joined our practice in the summer of 2017. She is enthusiastic and eager to learn about all aspects of clinical dentistry, and is passionate about giving patients the best clinical care possible. She is a very proactive and quick learner, so anybody being treated by her can be confident they are in very good hands. The rest of the practice staff will provide close support during her training to help her achieve her Level 3 Diploma in Dental Nursing qualification. Practice receptionist Suzi has been with the practice since its foundation in 2004. In most instances, she will be your first point of contact with the practice. She is responsible for the day-to-day running of the practice. Suzi has great customer service skills and will answer any questions or queries patients may have about their dental treatment and the services we provide. 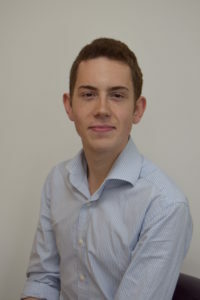 Jack is currently our main receptionist; having previously completed a BSc in Clinical Sciences, and is on a gap year while studying Dentistry at King’s College London. (Named 2nd best Dental School in the world, and 1st in the UK). He hence brings a wealth of experience and knowledge about dentistry to his position and interactions with patients. He is able to provide advice about different matters, ranging from oral hygiene to payment schedules, and will always be pleased to help patients discuss their treatments. Outside of his work and studying, he enjoys the opera, and spending time with his cat.